Luke Tarrant will ride Sold For Song in the Brisbane Handicap, a Listed 1600m race at Doomben. Talented mare Sold For Song needs only a dry track to help trainer Kevin Kemp achieve the second of two stable goals in the space of a week. Sold For Song gets her chance to continue her strong 1600m form in stakes races in the Listed Brisbane Handicap at Doomben. The six-year-old mare hasn’t won in more than two years but she continues to be a consistent placegetter, lifting her prize money to $527,900. At her last start she flashed home to be third behind Niccanova and Coldstone in the Listed Recognition Stakes (1350m) at Doomben two weeks ago. Kemp admits it is a goal to win another stakes race with Sold For Song and believes a dry track is the key to her chances. “She has had six runs back from a long spell and they can be virtually split into two groups – those on dry tracks and those in the wet,” Kemp said. Kemp has no worries about Sold For Song at 1600m. “She has had two runs at the distance for thirds in the Queensland Guineas and the Sunshine Coast Guineas which are both Stakes races,” he said. 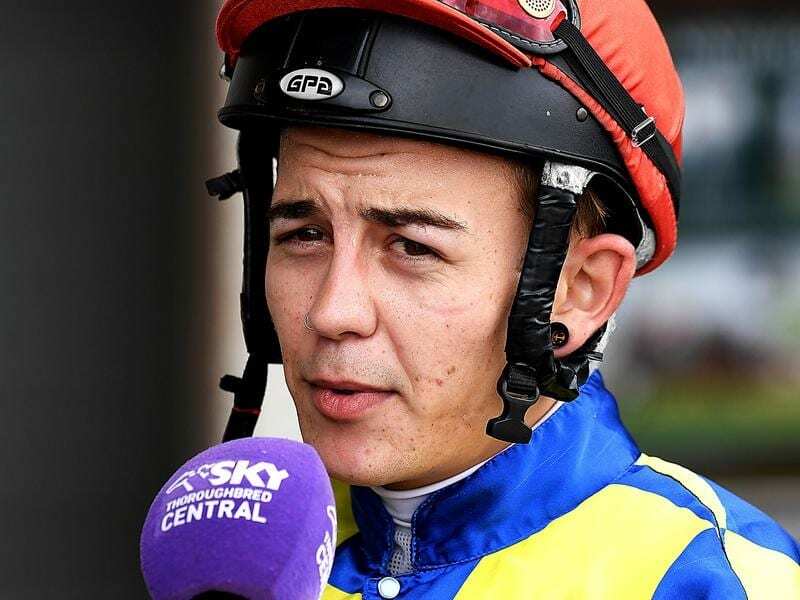 Jockey Luke Tarrant will again have the ride on Sold For Song after finishing third at Doomben. “Luke rides her very well and I am happy to stick with him,” Kemp said. Kemp will play a strong hand on Saturday as he has promising three-year-old Plumaro in the Listed Just Now Fillies & Mares Quality and she will be ridden by Jag Guthmann-Chester. The Toowoomba-based trainer achieved another of his recent goals when Zouzoukakia won the Cannonball Series final at Kilcoy last week. “She is owned by Con Searle who is a stalwart of the Kilcoy Club,” Kemp said.